Garden to Table – All things Tomatoes with Prairie Bay! 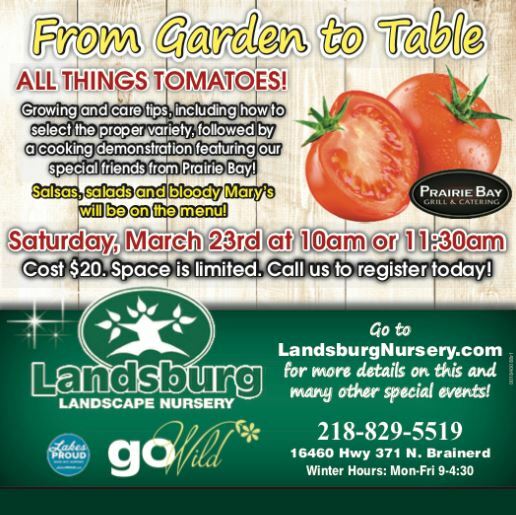 Growing and care tips, including how to select the proper variety, followed by a cooking demonstration featuring our special friends from Prairie Bay! Salsas, salads and bloody Mary’s will be on the menu! Sign up for one of two classes; 10am or 11:30am. $20. Pre-registration is required. Please call 218-829-5519 to sign up.